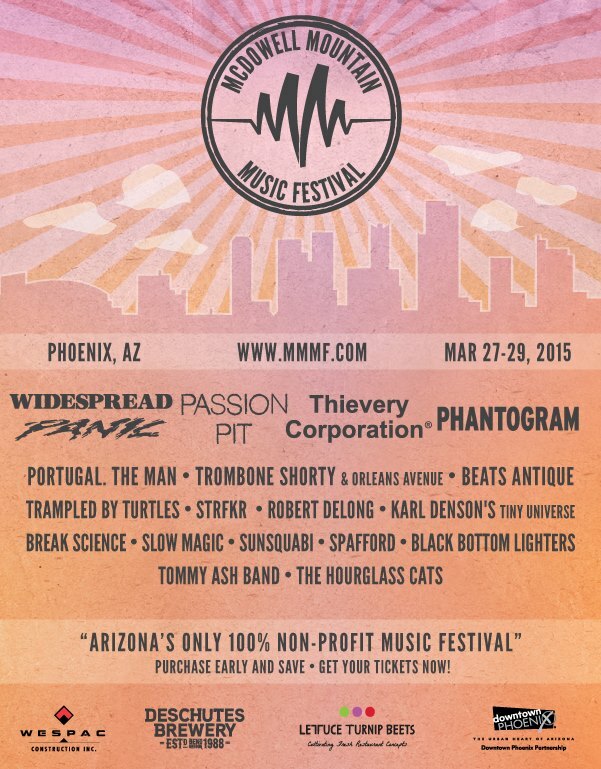 McDowell Mountain Music Festival has released their 2015 lineup with a decidedly more diverse array acts to perform in Phoenix March 27-29. The four headliners who top the bill could not be more disparate. So there you have it! A festival that appeals to near any group of friends, unless of course you only listen to hip hop as there is none to be found this year! 3-Day Passes are on sale now for $135 with single day passes for $50 + fees.